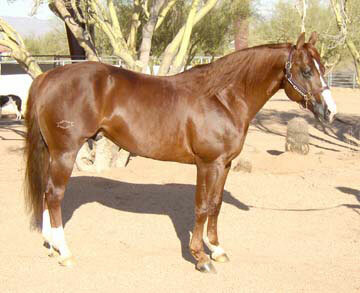 "Dealin Dirty" is a 1994 Sorrel Stallion by Smart Chic Olena x Miss Cee Gin. Dealers LTE is $38,819.00. 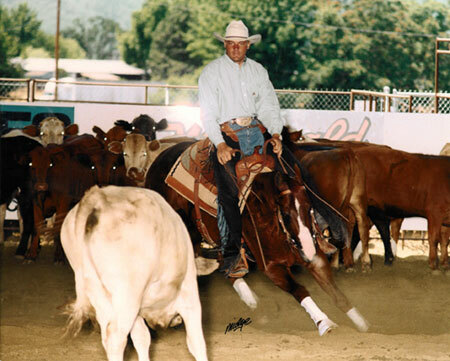 His sire "Smart Chic Olena is an NRHA $10 million dollar sire, NRCHA million dollar sire, NRHA Hall of Fame Stallion, and has a NRHA LTE $13,529/NRCHA $110,449. When it comes to "Smart Chic Olena's acomplishements the list goes on and on. His dam "Miss Cee Gin" is by "Tanquery Gin". "Tanquery Gin", was an NCHA Open Futurity finalist, NCHA Derby semi finalist, earned $15,199.25 (NCHA) and NCHA COA. Equistat All-Time Leading Sire whose foals have earned over $2,089,410., including GINS SOLANO ($279,958. NCHA Open Breeders Cup Champion, TQHA National Stakes 4-year-old Open Champion), MISS BEEFEATER GIN ($166,036. ; Harrahs Open Futuirty Champion, PCCHA Open Futuirty Co-Champion, Northwest Open Futurity Champion), CHOPSTICK, ($128,287; finalist in the NCHA Non-Pro Futurity and NCHA Super Stakes Non-Pro Classic). 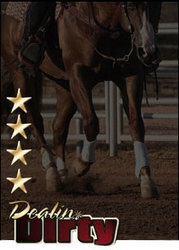 "Dealin Dirty" is the producer of NRHA & NRCHA Futurity & Derby Champions. His offspring have proven to be sucessful in the reining, reined cow horse, and cutting arenas. If you are looking to breed for talent, strength and looks . . . look no further! Check out our "sale barn" page to see some of "Dealin Dirty's" offspring available for sale.